 Before Göteborgs Prima Fint ever became a traditional brand appreciated by sophisticated snus lovers, a small trader from Göteborg in Sweden started his own tobacco factory in 1826. His name is Eric Mellgren. For years, his tobacco business survived as a tiny operation with only one employee. The factory blossomed, however, when Eric Mellgren’s son Johan August took over the business in 1850. The business grew quickly and steadily: After being run by a single employee for 24 years, the numbers shot up over the following decades. In 1902, the company boasted over 100 employees and manufactured a combined 225 tons of tobacco – 150 tons of which were snus, the rest was cigar and pipe tobacco. Eventually, the Swedish government monopolized all snus trade in 1915, making no exception for Eric Mellgren’s 89-year old tobacco business. But one good thing would come of it: In 1919, the monopoly registered one of Mellgren’s sweet and mild recipes as a brand, which snus enthusiasts today know as Göteborgs Prima Fint. 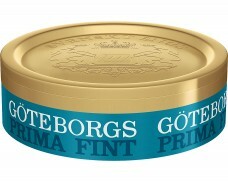 Unlike many older snus brands, Göteborgs Prima Fint’s recipe has remained mostly unchanged since the brand was first registered in 1919. 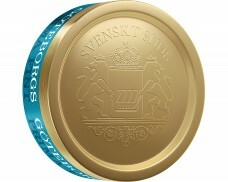 As the name roughly translates to „Göteborgs Prime Finely-Ground“, this snus is only available as loose tobacco. The fine grinding makes it easy to grab a pinch of Prima Fint – just like tobacco lovers did in the 19th century. Flavor-wise, this snus has stayed true to its roots. The tobacco is unseasoned and unflavored, highlighting the aromas contained in the tobacco itself. Upon placing a pinch in the lip or cheek, the taste of dark tobacco quickly fills the mouth. Subtle hints of a smoke accentuate the taste while touches of dried fruits and rose hips balance the well-rounded flavor. Over all, Göteborgs Prima Fint still delivers the same taste it became popular for: A mild, unseasoned tobacco flavor balanced by light, pleasant sweetness. The blue and gold can pays homage to the city of Göteborg, where the brand originated and the snus itself appeals to traditional snus enthusiasts who enjoy tobacco flavors without any gimmicks.